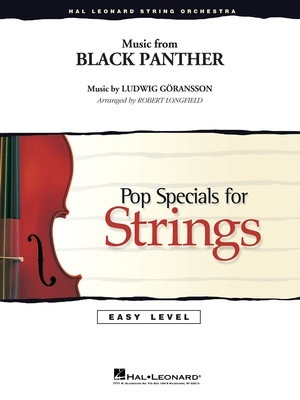 The film score for the blockbuster movie Black Panther is as dramatic and powerful as the movie itself. Here is a practical, accessible setting of the main themes carefully arranged for strings. Includes Ancestral Plane, Waterfall Fight and United Nations/End Titles.